To create a unique experience for the adventurer, nature and animal lover. To evolve in such a way where human and animal connections are the core of our operation. Are you an animal, nature and adventure lover? Are you a bit of a personal development junkie or don’t mind a challenge? Do you love being in the great outdoors? You must like camping then? If You Want a Unique Australian Adventure that’ll Connect You Back To Nature, Animals & Yourself, then you’ve come to the right place! 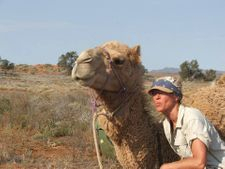 What we’re really trying to say is imagine the fun, relaxing, lots of laughter, good food, amazing scenery, comfy swags, the holiday of your life, lots of camel hugs and kisses you’ll get on our TOP NOCH (aka “Premier”) Camel Safaris in the Aussie Outback!  Are you tired of the ordinary holiday options and want to do something different, daring, outrageously fun & adventurous? We are a Non Riding Operation!? That means your bum don’t get sore and no chiropractic care necessary! 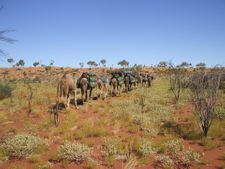 Truthfully though, the reason we don’t allow riding on these treks is because we have seen that people get so much more from our trips, the camel bonding and outback when they walk. Plus the camels carry all our supplies because we trek without vehicle backup, just with the camels and the wilderness – SIMPLICITY at it’s best! HOW LONG ARE YOUR OUTBACK CAMEL SFARIS? 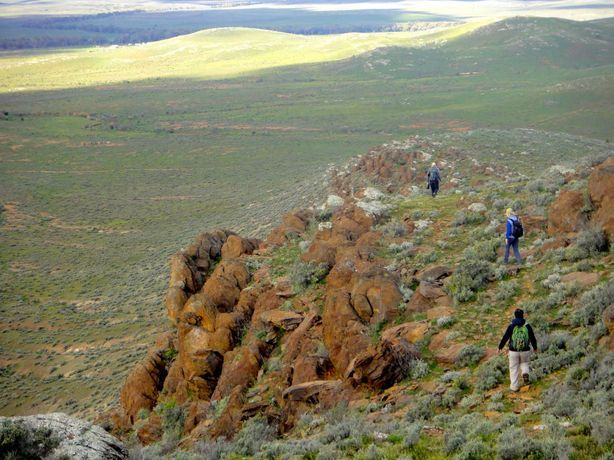 We’re lucky enough to be trekking on Almerta Station, in the Southern Flinders Ranges, South Australia. Why did we choose this station out of the 100’s of other Stations (aka massive expanses of farming land) in Australia? 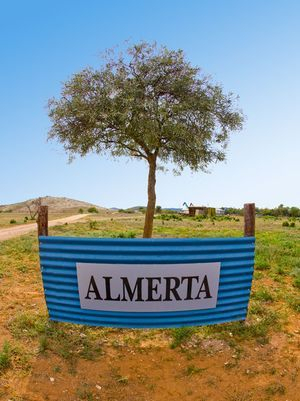 Well, firstly we loved the name ‘Almerta’ because it’s native aboriginal language meaning ‘Pretty Place’ or ‘Running Water’. Running water in the outback? YEP! Another reason we love Almerta is the natural springs scattered around the station. You can even hug them if you like! AND that it’s mostly sheep Station, meaning LESS FLIES! 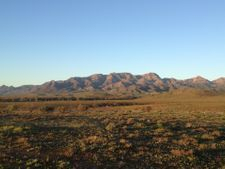 If you haven’t yet been to the Flinders Ranges in South Australia & had a camel trek experience, YOU’RE MISSING OUT! It’s seriously one of the TOP NOCH places to visit in Australia. 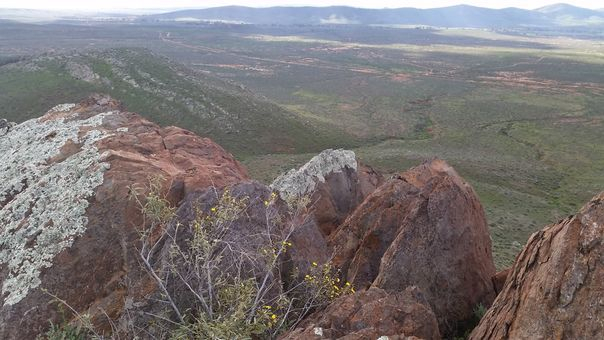 Every time we work in the Flinders Ranges, we STILL (after 4 years) have our breaths taken away from the amazing scenery and its presence, it’s a bit magical! 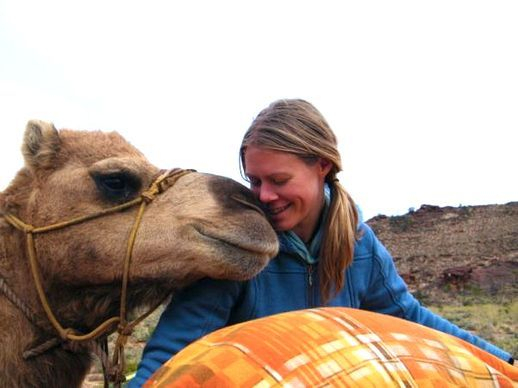 “My initial thoughts about what the camels: I thought they would have much more of a temperament, but I’m quite surprised in how well I was able to bond with the camels and how much trust they placed in me. To be an experience like no other on the adventure market. To entice lasting positive memories. To encourage the ability to rediscover the inner self. To encourage the reconnection between nature and ourselves. 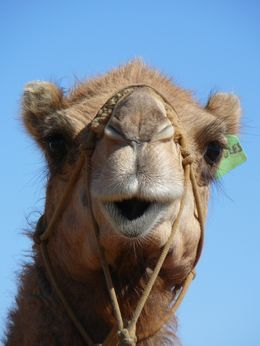 To provide a pathway for a loving and awe-inspiring bond between the camel and the human to take place. To provide pathways for the expansion of knowledge about the camel and nature. 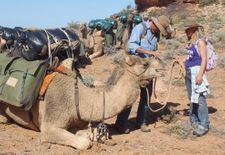 To provide opportunities for camel expedition and trekking education. Most importantly, to create a community of caring, like-minded people who have developed a passion for the camel and are working on projects that are beneficial to those less fortunate. We are happy to announce we have achieved this and we are totally committed to continuously expanding the base elements of Outback Australian Camels. Camp cooking under the stars whilst on safari. Charter safaris are available upon request. Please note: since we use the camels for pack transportation of equipment and supplies, a good level of fitness is required. It is expected that all participants should be able to comfortably walk a distance of at least ten kilometres per day. This is true expedition trekking at it's best. with Pack Camels on Historical. Successful camel trekking requires everyone to travel light. A good rule to remember is the less you have, the less to worry about. Below is a suggested list of items that are needed, anything else is a luxury. The evening nights can get cold but during the day it can be warm. Layered clothing is the best form of comfort and temperature control. We are only too happy to answer your questions. 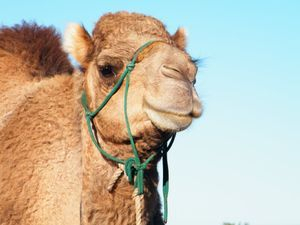 Got a dream of doing your own camel expedition? Get prepared with the necessary information and skills.